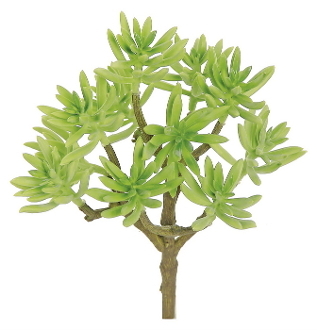 10" Premium Spiny Aloe Tree Permanent Botanical For Fairy Garden. As a premium botanical, this specimen exudes realistic touch and look without sacrificing quality. This is a great addition for gardens that may have poor growing conditions. Permanent botanicals create a lush environment with no maintenance. Preserved mosses will also ease your maintainence of your miniture garden. We have sourced realistic, scaled appropriate botanicals for your garden.